Article unwinds the popularity of leather pants amongst fashionable women. It gives timeless ways of styling them in different forms. If there ever is list of movies that score high on fashion appeal then the Meryl Streep starrer and cult classic movie ‘Devil Wears Prada’ would surely rank among the top 10. The movie is necessary for consumption especially for those who take their fashion seriously, as it goes till the very bone of understanding every aspect of fashion. Today, we are going to be in Meryl’s shoes and look at ways of styling one of the most unique and sought after apparels i.e. ‘Leather Pants’. Available in multiple hides, these have proved to be timeless classic and are among the essentials in every girl’s wardrobe. The following suggestions encourage the wearer to be innovative and sport a new style every time she flaunts her apparel. 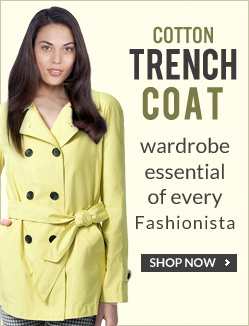 Yes, that is essential now since leather will make up the bottom half of your wardrobe. It’s important to get the top right in terms of a color contrast. We are suggesting the usage of tops that are bright in color, one could even experiment with a casual tee or spring themed shirt. These when paired with a smart jacket will surely make you look glamorous. It is a myth that they need to be ‘black’ in color, there are various color combinations available that will no doubt add a sharp and attractive look on the wearer. We are not implying to be mean but the fashion industry is fiercely competitive and if you want to stand out, you will have to look at ways and means of pairing your apparel with tops that are different. If it is still cold in your place, you could try sporting woolen material shirts else welcome spring with a cotton themed top or lacy wear. The best thing about this apparel is the variety it gives to the wearer with respect to footwear. One can be outright daring and wear pumps or sport a casual look by wearing flats. On a conclusive note, these pants are as timeless as the movie; their appreciation will only increase in the near future. Hope you have enjoyed reading the article as much as we have enjoyed preparing it for you. If you want us to write on any specific topic do let us know, we would be glad to oblige.